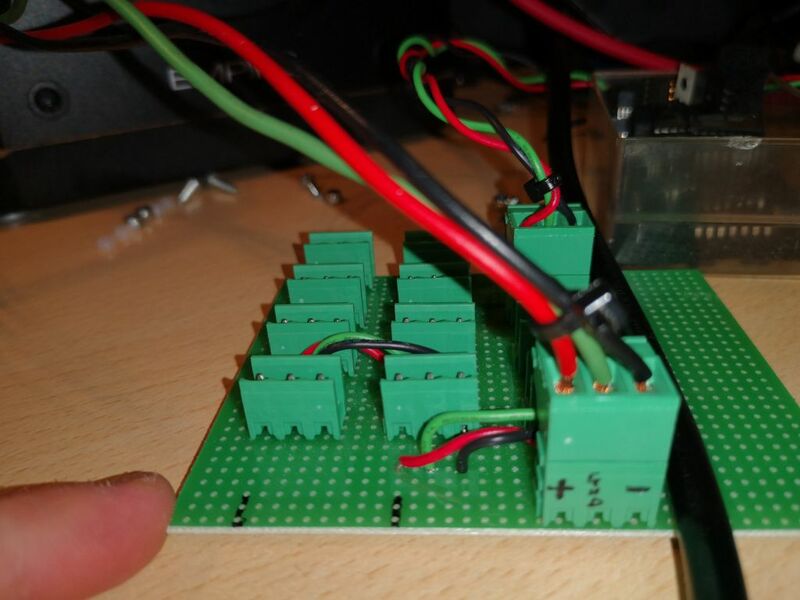 - with all other modules connected to the power bus and running properly (3xVCO and 1x SVF), as soon as I plug the VCA module to the power bus, all the other modules suddently stop working (and heat dissipators get really hot in few seconds). I noticed that -12V, GND and +12V pins are in SHORT ! Somehow, I have shorted the power rails just by backing the plastic panel with the metal panel and screwing back all the jack sockets and potentiometers. I did not even desoldered/soldered anything! Since the issues came up when you mounted a conductive panel (I guess), it seems like you should take a very careful look at your panel wiring to be sure that nothing is shorting to the panel itself. Look closely at the connections to the pots on the front panel, for example. It might be worth removing the front panel to see if that cures the issue. It's also not a bad idea to see if the shorts go away if you remove the ICs -- failed parts sometimes give rise to shorts, though that seems unlikely in this case given the history. You are right! 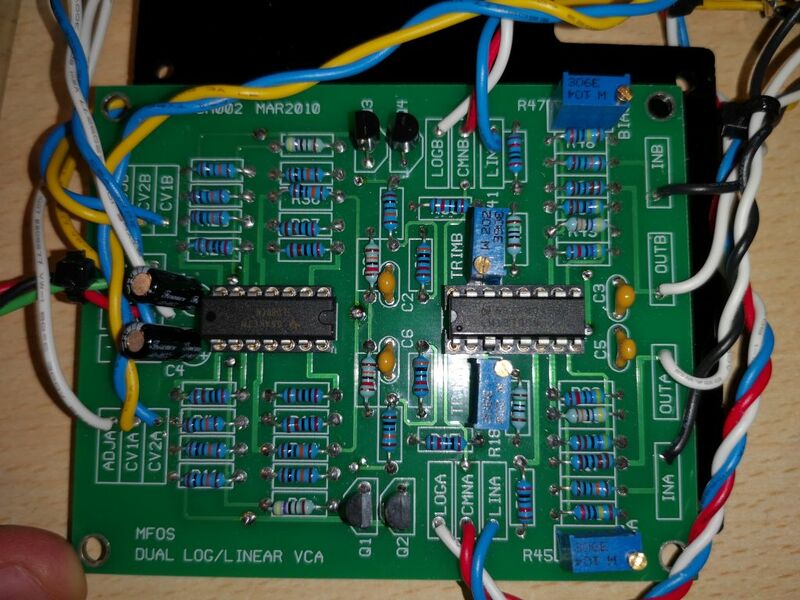 The problem was that a pot was short circuited through the metal panel (in particular through the newly installed 'L' shaped metal bracket that now holds the pcb and the new metal panel together), and that pot was connected to the 2 power supply rails, so I was shorting -12V and +12V. 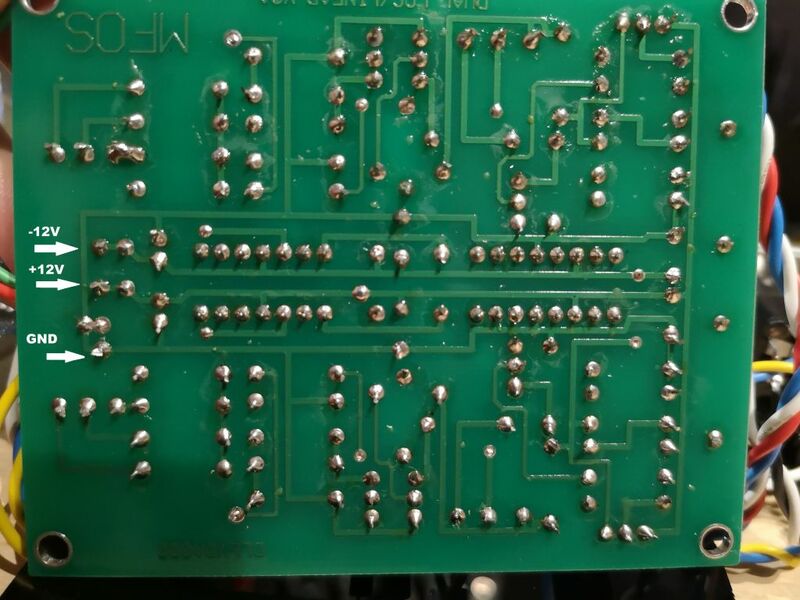 After turning of 90 degrees the pot orientation it was no longer in short, but one of the two VCAs didn't work. I think that the short circuit burned that potentiometer, but now that I've replaced it, all the unit work as intended.